The Middle Atlantic ANGLE-4 is a support angle for use in raised floor installation. It can accommodate four racks of either MRK, VRK or VMRK series. ANGLE-4 uses VFEET-4-12 for 12" raised floor. This support angle is phosphate pre-treated with black powder coat finish. Its structure uses 11-gauge steel. 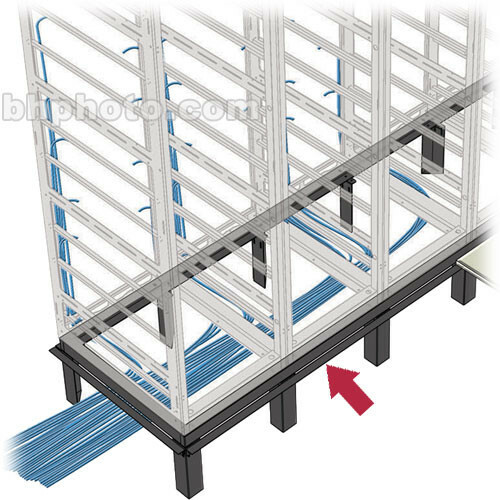 Use ANGLE-4 for convenient raised floor installation. This support angle can accommodate four racks of either MRK, VRK and VMRK series. Box Dimensions (LxWxH) 94.0 x 4.0 x 4.0"